Cowes Week Ltd, organisers of Lendy Cowes Week, has announced the introduction of a new racing class for this year’s regatta, the GRP Classic Class. The new GRP Classic Class will be run for GRP production boats which have a design date and first build of before 31 December 1974. Boats must be unmodified and must be anti-fouled. Racing will take place under the IRC Rating System with an initial target rating band of 0.860 and 0.990. Boats outside this range should contact the office if they wish to race. Cowes Week Ltd can also offer assistance to owners who do not have an IRC rating in securing a low cost rating through RORC. Please contact [email protected] for further information. 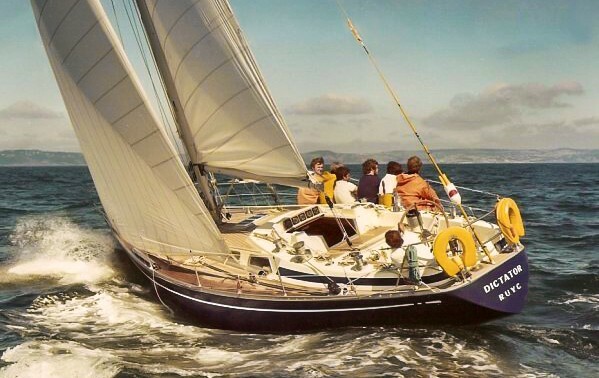 The decision to introduce the new class came about following a conversation Regatta Director Laurence Mead had with famous Cowes yacht designer, John Corby on the rapid evolution of yacht design after 1974. And it was agreed that there are a lot of boats which were superseded by the flat bottom designs of Ron Holland, Doug Peterson et al at that time, and that those boats might enjoy a chance to race in one of the world’s largest regattas. The next edition of the regatta takes place from 10 – 17 August 2019.